When the teacher asks you to write a research paper, he/she specifies the format it should be done in: either MLA (if you have to deal with humanities) or APA (if the paper is about Psychology or exact sciences). Still, there are most general requirements for a college research paper format, and we will present them to you in this article. Your document should be written on a white 8.5×11 inch paper. Erasable paper tends to smudge quickly, that is why it is unacceptable for the final draft of your paper. However, if you prefer using erasable paper while preparing the document, submit a good photocopy to your supervisor. 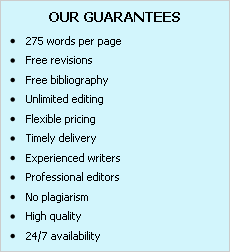 Usually, one inch margins are required for research papers. Besides, the margins should be all around the text of your paper – right side, left side, top and bottom. The entire text of your research paper should be double spaced. Spacing also includes quotations, notes, and the bibliography list. Headings and titles are usually written in all capital letters. You can also bold type or use italics for them. Page numbers are usually set in the upper right hand corner of the page. All page numbers should be set consecutively throughout your manuscript. Each table inserted into your document should be labeled with an Arabic number. Under each of them, you have to point out the source from which this figure was taken. No matter whether you are to use APA or MLA style, you have to provide the sources used for this paper. Usually, the sources in the bibliography list are alphabetized by the names of their authors. If the paper is done in APA style, this list is called “References”. If you are to use MLA style, call this list “Works Cited”. Try to remember the most successful reports prepared for classes. You may go on developing this idea in the research paper. Ask your teacher for advice. This person knows your level of knowledge and is capable of selecting the topic that corresponds to your abilities. Ask people from the student forum for advice. You are sure to get some special secrets of how to succeed.